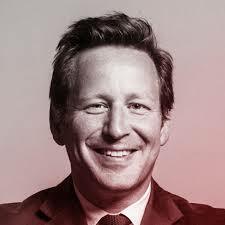 Ed Vaizey MP, the former Minister for Culture and the Digital Economy, will be among the keynote speakers at the launch of a series of Media Summits to explore the effect of ‘Brexit’ on the media and communications sector. The Brexit Briefing series launches in London on November 21st with a presentation and reception at the Ham Yard Hotel in Soho. The evening event will set the scene for a series of Media Summits to be held over the next year. Television presenter and journalist Sam Naz, a regular presenter on Sky News, will interview guests before an audience of industry leaders. Member associations representing organisations from across the media and communications sector are supporting the initiative. Dawn McCarthy-Simpson MBE, the Director of International Strategy for Pact, will represent the interests of over 450 member companies covering independent feature film, television, animation and interactive media production. Adam Minns, the Executive Director of COBA, will be speaking about the interests of the Commercial Broadcasters Association, which represents multichannel broadcasters, including A+E, Discovery, Fox, NBCUniversal, QVC, Scripps, Sky, Sony Pictures Television, Turner, and The Walt Disney Company. The event is also being promoted in partnership with the DTG, the collaboration centre for innovation in digital media technology, reaching industry, government, academia and international partners, set up with the purpose of looking after the digital television marketplace. The Media Summits will provide a regular forum for executives to discuss topical industry issues that will affect their business, beginning with Brexit. There is a lot of talk in the media about Brexit in terms of trade and finance but the consequences for the media and communications sector have not been widely considered. It is a key contributor to the economy as well as the cultural identity of the country. The effect of any change in the relationship between the UK and the rest of Europe is still uncertain, but media and entertainment companies cannot afford to wait and see what the impact will be. The summits will address the implications for media production, advertising, technology, talent and investment. The UK is the leading media exporter in Europe and London is home to over a thousand television channels aimed at audiences in European Union member states. Content services business TVT/DMC is a sponsor of the launch event. TVT recently acquired the DMC Digital Media Centre in Amsterdam, providing its customers with a gateway for media distribution in mainland Europe. “Europe is a complex media marketplace and the prospect of Brexit adds further layers of complication. While we do not know what the outcome of the Brexit process will be, it is important to start an open industry debate about its possible impact on media companies from around the world,” says its Chief Executive, Ian Brotherston. Advanced Television and informitv are both partners for the series of media summits.